Last week we covered everything NOT to eat before getting your workout in and today, we’re sharing all the goods! Today’s article shares what celebrity trainer, Phillip Goglia considers to be the best pre-workout snack as well as other healthy options. As always, if you’re loving this series and feel inspired to reboot your fitness and diet plan, come chat with our Durham personal trainers to get started on a healthier you! 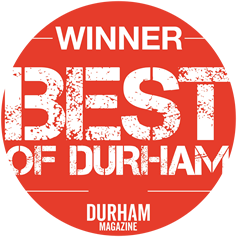 We hope you Durham fitness lovers enjoy this article! And as always, thank you Dr. Goglia for your excellent insight! Raw Seeds: Raw seeds off a great source of fat as an energy source pre-workout. 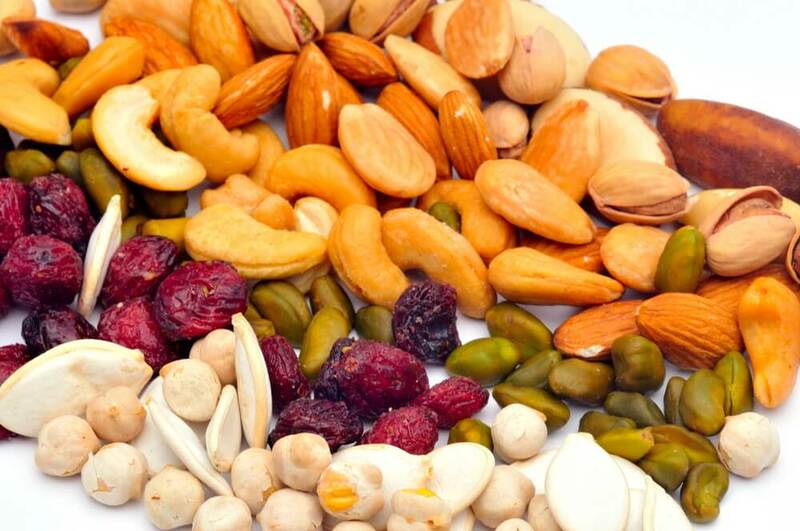 If the husks of the seeds do not adversely affect your digestion then they can be a great pre-workout choice. Make sure to consume between 100 and 150 calories of seeds before workout and give your body about 20 min to digest them. It is even better if the seeds are nuts like 12 almonds or almond butter 100 c mixed with 1 fruit portion. The sugar and fat combination will be extremely energizing and sustainable for a workout of 90 minutes or less. Try the nuts or nut butters with an apple… YUM! How does what you eat affect your energy level/ability to exercise? There are so many pre-training foods to choose from on the market! I say keep it simple and basic! A pre-training, 90 min or less, low-glycemic meal should be approx 200 calories with a fairly even split of sugar and fat, providing sustainable even energy. All of my athletes either use a bonk breaker bar or they keep it even simpler : 1 fruit with 1 tbsp of almond butter. Again, keep it simple — no fake science! We are continuing our fantastic series with famed personal trainer Phillip Goglia! We have disussed proper hydration, diet, and overall fitness! Today we are taking nutrition one step further and reviewing foods NOT to eat before you workout! If you’re loving this series and feel inspired to reboot your fitness and diet plan, come chat with our Durham personal trainers to get started on a healthier you! Chocolate Milk : Prior to working out, the use of dairy and its sugars – maltose and lactose – will cause bloating and digestive discomfort. Additionally the sugars found in dairy are inflammatory and mucus producing. In fact, they inhibit the full use of our oxygen pathways. This is why when you speak to athletes and ask them about their dairy consumption, they will all tell you that they do not consume any dairy pre or post-workout as it is like eating moderately hard phlegm. Most of all, dairy can contribute to elevated triglyceride levels and inflammation. 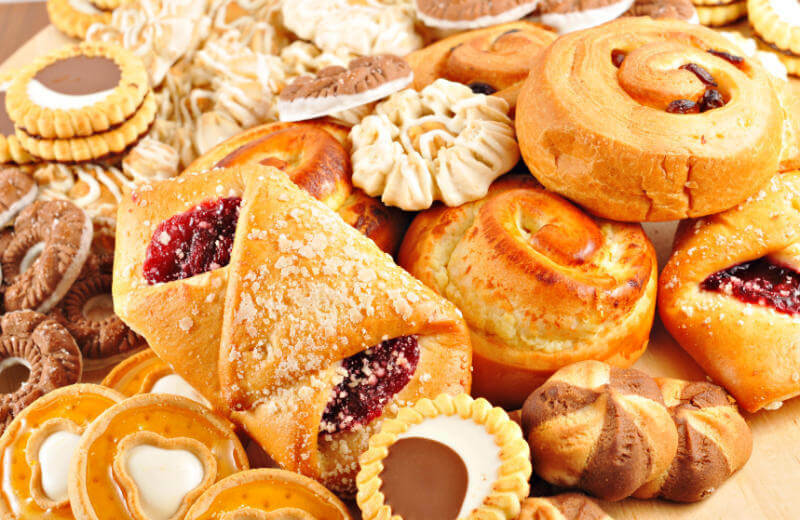 Whole Grain Breads and Muffins: Stay away from carbohydrates that are yeast mold and gluten bound. They are inflammatory, water retentive, and ultimately inflammatory. They provide energy obviously as they are a sugar — but the side effects far out weigh the benefit of sugar energy as a pre-workout meal. Last night’s Pad Thai: The convenient but bad pre-workout move. These heavy foods lots of digestion time and will hinder workout intensity and fat utilization. Mostly it will set you up for a nap rather than a workout! Protein Bars: There is NO such thing as a protein bar — Does your PROTEIN bar taste like salmon – chicken – steak ? Doubtful! Chances are your favorite protein bar has some kind of low grade protein in it. If you must choose to use a pre-workout bar make sure it is one that offers up honest marketing that is a health 50 / 50 split of sugar and fat to be used for sustainable workout energy — examples are a bonk breaker bar. This is my favorite choice and the choice of cyclists and multi sport athletes. The other OK choices are a KIND bar or CLIFF bar – all solid choices.